Hey, everyone! The new week may have snuck up on me, but that won’t stop the Zelda Dungeon Caption Contest from setting off once again. We’re all raving with anticipation for the upcoming Super Smash Bros. Ultimate. 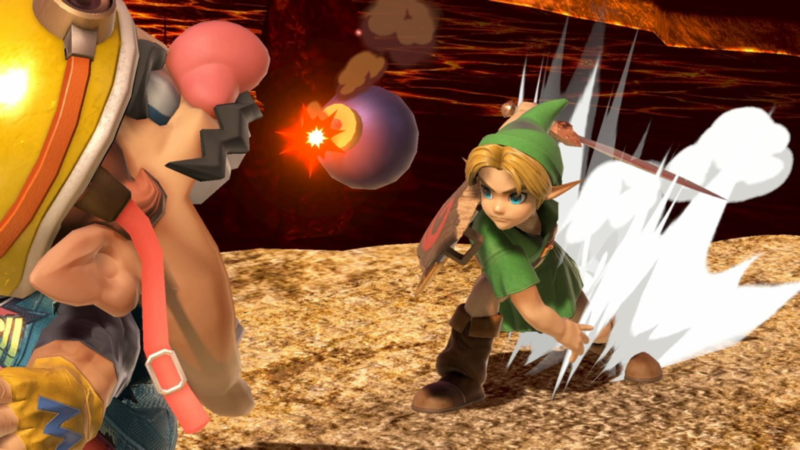 Nintendo’s new fighting game is sure to be an explosive experience, so what better way to brace for the bang than with a screenshot featuring one of The Legend of Zelda‘s trademark Bombs. 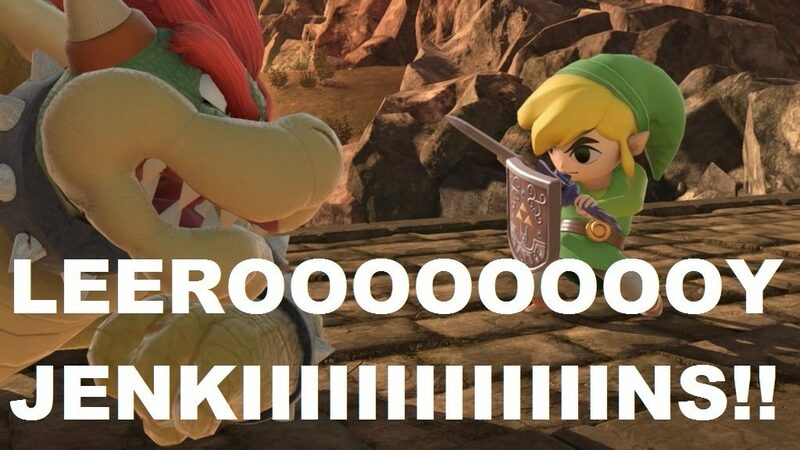 Young Link has one at the ready, so let’s light the fuse and get in there. The Hero of Wind faced off against the King of Koopas last week. 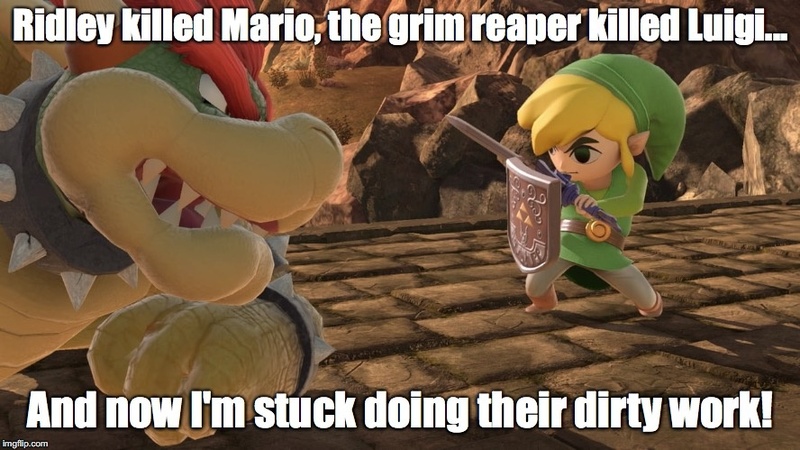 Young Link is taking one out of his Dodongo playbook, it seems.